Justice David Medina is running for reelection to the Texas Supreme Court, Place 4. Justice Medina was born on Galveston Island and raised in Hitchcock, Texas. He earned a Bachelor of Science Degree from Texas State University in 1980. Justice Medina is a two time State Collegiate Karate Champion. He was also a member of the Baseball Club and earned academic honors as a member of the Dean's List. While attending Texas State, Justice Medina was an underwater swimmer for Aquarena Springs where the famous "Ralph the Swimming Pig" performed. 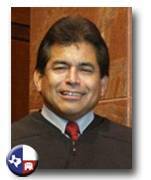 Justice Medina earned his Doctor of Jurisprudence degree from South Texas College of Law in 1989 while working full time for Cooper Industries, Inc. and the Traveler's Insurance Company before that. He was a member of the ABA National Moot Court Team, which won the national regional championship. Justice Medina also earned academic recognition as member of the Dean's List. Upon graduating from STCL David was promoted to Counsel, Litigation. He became the first Cooper attorney to be hired directly after law school. In his capacity as Counsel, Litigation David was responsible for a docket that included environmental, product liability, toxic tort, real estate, insurance coverage and commercial litigation. Judge Medina also taught Advanced Civil Trial Advocacy as an Adjunct Professor at STCL. In 1996, Governor George W. Bush appointed David to the 157th State District Court located in Harris County. Judge Medina was elected that November and became the first Republican Hispanic Judge elected in Harris County. The citizens of Harris County re-elected Judge Medina in 1998. Judge Medina rejoined Cooper in 2000 as its Associate General Counsel, Litigation. He was responsible for supervising all aspects of complex litigation and product-safety matters throughout the world. During his tenure, Cooper prevailed in every litigation taken to trial or appeal, including a case before the U.S. Supreme Court (Cooper v. Leatherman). In January 2004, Judge Medina returned to public service when he was appointed by Governor Rick Perry to serve as General Counsel to the Governor. Judge Medina had the privilege of serving the Governor until October 2004. In November of that year, Governor Perry appointed David to the Texas Supreme Court. The Texas Senate subsequently confirmed Judge Medina’s appointment. In November 2006, Justice Medina was elected by Texas voters to a full six-year term. He has the honor a being the first student from South Texas College of Law to serve as the Governor's General Counsel and the Supreme Court. In addition to his duties as a Justice on the Supreme Court, David serves as deputy-liaison to the Texas Supreme Court Rules Advisory Committee and the Preservation of Historical Court Records. Justice Medina is a frequent speaker at legal education seminars throughout Texas and the Nation. He has also had the privilege of delivering the Commencement Address to South Texas College of Law, Texas Wesleyan Law School and Thurgood Marshall School of Law graduates. In 2005 Justice Medina was honored by P.O.L.I.C.E. (Police Officers Looking Into Court Room Excellence) as its Supreme Court Justice of the Year. And in 2010 the Mexican-American Bar Foundation of Texas awarded Justice Medina the Texas Judge of the Year, an honor previously awarded to Justice Jennifer Elrod of the Fifth Circuit Federal Court of Appeals and most recently to Chief Justice Wallace Jefferson. Justice Medina also received National recognition in August 2010 when the Hispanic National Bar Association presented him with its prestigious National Latino Judge of the Year award. In his spare time Justice Medina enjoys playing the drums while listening to Led Zeppelin. David is also an avid outdoorsman and enjoys hunting, fishing, hiking and biking. Judge Medina remains active in martial arts and in July 2010, he won first place (black belt division) in a National Open Kajukenbo Tournament and in March 2011 he won another National tournament. On July 23, 2011 Judge Medina was inducted into the U.S. Martial Arts Hall of Fame. Judge Medina is a former board member for Houston Metro, Habitat for Humanity and the Spring-Klein Baseball Association. He also managed his son's select baseball team and other youth sports for 25 years. David has also served as; Vice- President and President of the Republican National Hispanic Assembly, elected- Republican Precinct Chairman, Delegate to the Republican County and State Conventions, and Committee to Elect National GOP delegates.